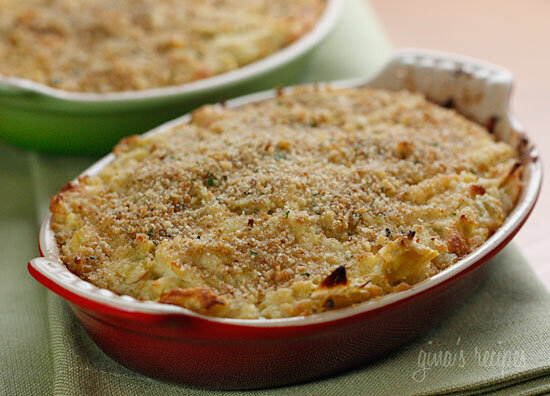 A delicious hot artichoke dip baked with parmesan cheese, reduced fat mozzarella cheese and topped with bread crumbs. Your unsuspecting guests will have no idea they are indulging in lightened up party fare. 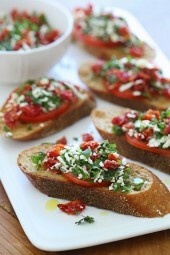 Serve this with baked pita chips, crostini or any low fat chip. dishes a few weeks ago in several colors, and finally found the perfect use for them, hot dips from oven to the table. Aren’t they cute! And just a little history on artichokes, did you know they are one of the oldest foods know to humans? Ancient Greeks and Romans considered artichokes a delicacy and an aphrodisiac and women were even banned from eating them in the 16th century. Well it’s the 21st century so women, enjoy! Combine artichokes, yogurt, mayonnaise, parmesan cheese, mozzarella, salt and pepper in a medium bowl. 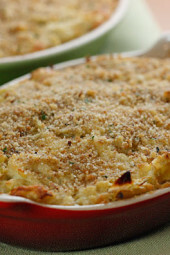 Place in an oven-proof dish and top with breadcrumbs. Lightly spray the crumbs with olive oil then bake at 400° for 20-25 minutes, until hot and cheese is melted. Can be made one day in advance without the breadcrumbs and stored in the refrigerator before baking. Add breadcrumbs before baking. I’m afraid this didn’t match up to the calorie infused version. Sorry. I love Skinnytaste recipes but this one didn’t work for us. Can you crock pot this recipe? If you add just 2 drops of maple syrup to fat free greek yogurt, it tastes as good a full fat sour cream and better than fat free sour cream. Don't add more maple syrup than that or it doesn't work. Gina, I am planning on making this on thanksgiving but not sure if I will have access to the oven. Would this work in the cockpot or microwave? Thanks! I love all of your recipes! This is delicious and was a hit at a family party. I'd recommend a small crockpot or hot plate if the dip will be out for more than about 1/2 hour, though – it's best when it's warm and Melty. I just made this today and it rocks! So delish and addictive!!! 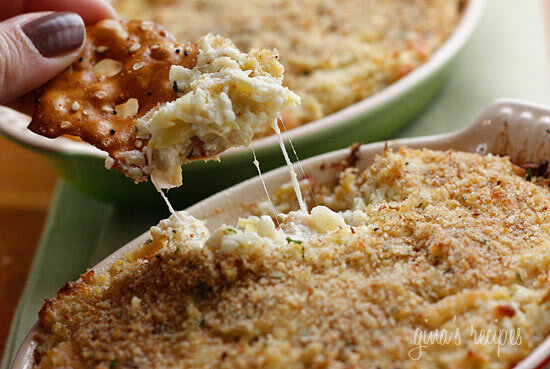 This is the BEST artichoke dip ever!!! I have made this several times and it's always a hit. A big thanks to Gina!!! I made this the other night, my husband and I had it as a light supper with tortilla chips – it was lovely, we scraped the dish clean! Only problem was, the tortilla chips were more than double the calorie value of the dip! Any suggestions for something lower cal to dip in? I had thought of doing this as a kind of sauce for pasta as a main meal (it's that good!) but it's also fun to dip! Baked tortillas are really good with most dips! Fantastic recipe!!! I actually got 1 points plus per serving. I think its because I used light miracle whip instead of light mayo (my boyfriend's preference – 1 pt for 2 TB vs. 3). This is going to be a regular whenever I bring an appetizer to a party! Thank you!!! can you make it 2 days ahead or will it go bad? I think it would be fine if everything is fresh. OMG! I think this is better than the fatty artichoke dip. I made this for some company I had staying at my house. I prepared it the day before and added the breadcrumbs before baking. I must say your website is amazing! Really loved it. It went fast at the party I brought it too. Ate too many servings myself though! Gina, everytime I use my food processor, things come out runny. I bought the artichoke hearts quartered. 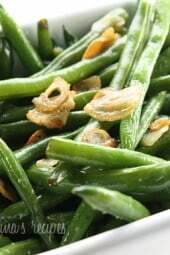 Can I just chop them up into smaller pieces and then do the same with the shallots and mix them together? Trying to avoid using a food processor! I like this with baked tortilla chips or pita wedges. Can't wait to try this as it's always been a favorite! question to all–what do you serve it with? Veggies? Crackers–what kind–I know they add more points. Just getting started on the new PP program. Thanks for tips! This looks so good! What mayo do you use when making this? Can't wait to try it…Thanks for the recipe! I started following you, BTW, and hope you find my recipes (mainly vegetarian, haha) to be yummy, too! Thanks for the recipe, it looks divine! Yummy! I am definitely bookmarking this for the next time I have guests over. i love being able to serve lighter foods that still satisfy everyone! I made this dip for a snack on Christmas Day! My whole family loves anything cheesy, and we love our spinach and artichoke dips. I made this dip myself; it was extremely easy and I think that this recipe should be a staple if you entertain often! It's delicious and hard to tell it is 'light'! I love it and I cant wait to try more of your WONDERFUL recipes! Happy Holidays & Happy NEW YEAR! 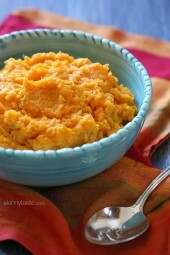 going to make this with all organic ingredients! Can this be frozen as well or no? Mmmmmmmmm, this looks delicious, Gina! Thanks for sharing. And I LOVE your little LeCreuset petite au gratin dishes — adorable! I have a set of the baking dish with the free smaller one and I love them SO much. Aren't they just the BEST for cooking in and and then for cleaning up? Have a wonderful holiday! I just love all the recipe dips you've been posting. They are going to be on my table once I'm able to start entertaining again. Yum. I was hoping this was coming. This looks so delicious. And I love the dishes. I have the same ones only in a less holiday color. Thank you for sharing all these wonderful recipes. I was honored to receive this and I hope you are too. Thankyou for letting me take a little peak into your wonderful world. Love all of these dip recipes–perfect for holiday parties! Yum! I want to eat this right now. You can sub the mayo for sour cream or yogurt. Healthy & Homemade- aren't they adorable! this looks amazing! however, i have a severe mayo phobia…any suggestions to sub out for it? maybe sour cream? Yum! Making this for Christmas dinner! So I won't feel so guilty Thanks! You can also Double the recipe and combine the spinach and artichoke recipe to make spinach and artichoke dip! One of my favorites dips for hot pretzels…. This is amazing..I will have to try it! I just read in an online article that spinach artichoke dip is one of the worst holiday foods. Your recipie is a fraction of the calories for the orriginal! aphrodisiac huh? interesting combination of ingredients. looks good! How do you maintain your weight loss testing all these new recipes? You must really hold yourself to one serving and not taste as you go. Bravo to you!